Thunderclap headache is characterised by a very sudden onset. Thunderclap headache is often described as the worst of my life. This page was last updated by Dr Barrie Lewis on 21st November, 2018. If you ever experience what you might describe as the worst headache of your life, then don't reach for aspirin, or phone your chiropractor; do not even contact your family doctor. Get someone to drive you straight to the emergency rooms. The hallmark is a very sudden onset; within 1 to 2 minutes. Intense physical activity is often what provokes it, but of course was only the straw that broke the proverbial camel's back; it was lying in wait. It's only rarely something very serious; thunderclaps aren't common, but you get no second chance if it is. Inflammation causes molecules to adhere to the inner lining of a blood vessel in the brain causing sudden vasoconstriction, or narrowing; what is known as stenosis and beading except that, as with most acute conditions of sudden onset, angiographic findings show that these changes in the arteries are fortunately usually reversible; if you are willing to make the correct lifestyle changes; more about that later. It is important, because the second attack, if there is one, may well be fatal. Veteran vascular surgeons report increasingly angry looking blood vessels despite the move away from animal fats, and the enormous increase in the use of statins to lower cholesterol. Clearly our lifestyle, and in particular the food that companies are dishing up, are causing a dramatic increase in autoimmune diseases and inflammation in the body. Bright red, angry blood vessels are prone to these sudden occlusions that provoke heart attacks, strokes and vascular conditions such as thunderclap headache. In fact a meta analysis of all the research on cholesterol points out there is as much research favouring butter as there is change to margarine; the buzz word is, butter is back. Or, something much more serious? 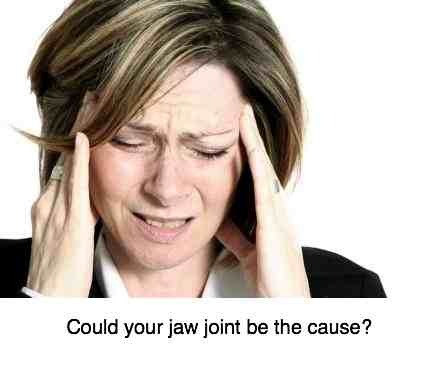 Yes, the jaw joint can cause very severe facial pain and migraine type headache, but the onset isn't typically sudden. Thunderclap headache is characterised by very sudden onset. Chronic coughing, sneezing or straining on the loo. The so-called triad of Dejeurine. A blow to the head, often when the elderly fall over backwards striking their heads on concrete. Boxing? An inflammation of an artery in the brain, called Central Nervous System Vasculitis, should be ruled out, though it classically does not cause such sudden onset. However, it is more serious as, unlike RCVS, it is not reversible. A bleed within the brain (type of stroke), called a Subarachnoid haemorrhage, can also cause headache of sudden onset. These conditions are ruled out with a lumbar puncture to test the fluid in the cerebrospinal fluid and an MRI. Foods to reduce inflammation is for all of us, in any case; it's about prevention of thunderclap headache, and a host of allied vascular conditions. New findings are suggesting that the current advice, statins to lower cholesterol, a change from animal fat to polyunsaturated seed oils high in omega 6, from butter to margarine, may actually be worsening inflammation in the body. Angry muscles, generalised arthritis, arteries that look as though they've been scrubbed with a wire brush, and ever increasing heart disease are features of today's world. In the chiropractic setting, cephalgia is a common complaint, but there are many causes and it should certainly not be assumed that a cervical manipulation is the best remedy. Thunderclap headaches are very rare, however. If your chiropractor feels it would be wise to treat you very conservatively for a severe headache, please do not pressure him or her to perform a manipulation. The hardest part in health care is to know when to hold back with treatment. When you have a hammer in your hand, everything looks like a nail. This is also true of the dizzy patient; sometimes the problem is indeed in the neck but, if there's nystagmus, a strange associated flicking of the eyes, then a cervical adjustment is not in the first instance wise. Vertigo, nausea and vomiting are awful. Serious adverse effects after a chiropractic adjustment are rare, but they certainly do happen. Scientists are now saying that if this ratio goes above 10:1 (perhaps even 5:1) that spells generalised inflammation in the body. Inflammation of arteries means a host of blood vessel diseases, invariably very serious. Our diets should be aimed at limiting omega-6 by changing from seed oils like sunflower or soyabean oil, corn oil to olive oil which is low in omega-6. This calls into question the whole policy of changing to margarine. And secondly raising the omega-3 fatty acids in the diet. That means fatty fish, freshly ground flaxseed and walnuts, amongst others. All of us, ALL OF US, that includes YOU AND ME!, need to be following a healthy diet that prevents molecules from sticking to the blood vessel walls, and keeps these walls glistening clean and smooth. Healthy cholesterol management. CHOLESTEROL ALCOHOL. The covering of nerves, a substance called myelin, is vitally dependent on large amounts of a fat called oleic acid in the diet. The shift to low fat diets, and in particular polyunsaturates, means that our nerves are starved of their healthy myelin sheaths. Strong research reveals that a low fat diet, if combined with large amounts of carbohydrates, makes you vulnerable to the serious nerve conditions like motor neuron disease. In similar vein, our arteries are becoming more inflamed; clearly we have moved far from the foods that our forefathers enjoyed; a cup of coffee and a bagel for breakfast? We recommend fruit, oats and on occasion what is known as eggs Florentine for breakfast; it has its base a bed of spinach with the flavourings you choose. 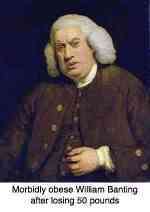 We like onion, jalapeno, a tomato for the prostate and a clove or two of garlic. Plop an egg on the spinach once it's cooked, and poach for a minute or two; from beginning to end it takes no more than five to ten minutes. These all have anti inflammatory properties, giving you protection against thunderclap headache. Pathophysiology of atherosclerosis is the science of how much blood gets to the brain and body parts; when arteries become inflamed and narrowed then not enough oxygen can get to the brain; a likelihood of a thunderclap headache increases geometrically. At our Healthy Living Tips you'll find plenty of information that will help take you into happy, healthy old age with all your marbles intact; and keep you off medicines. It's all about healthy nerves and blood vessels. Pathophysiology of Atherosclerosis ... a complex subject made simpler. To go back from thunderclap headache to more general HEADACHE CHIROPRACTIC management.